Aldworth Manor is pleased to announce our Summer Arts and Music Kickoff will be held on Sunday, June 16th! Enjoy the beautiful grounds and Manor at Aldworth as you listen and dance to the great sounds of The Youngest Sun and Senie Hunt. In addition to listening to the wonderful music of these musicians, area artists and creative vendors will be coming together to make this a special time here at Aldworth. Sarah Aborn of Shakit Healing Arts will also be offering a community yoga segment between band sets. Aldworth has been working diligently to transition inside the Manor this year and will be offering food and beverages options for sale at the event. Tickets will be available at the door for $15 per person. Children under 12 may enter free, if accompanied by an adult. Lighting and Sound services provided by Upstream Sound. Are you ready to create a vision for your life that's in alignment with your passion? Are you pouring your heart and soul into your work and relationships and still not getting the results you want? Are you longing for serenity, peace and positive energy? If these questions resonate with you, then you are going to love this retreat! You will release stress and tension in your mind and body and have an increased sense of well being. You will learn simple thinking strategies that will guard you from fear, doubt and worry. You will create a vision board to plan for your success. You will learn a proven method for dissolving resistance you may have to prosperity so you can attract higher levels of results and abundance. You will experience a renewed belief in your ability to achieve your goals and live a vision driven life. You will leave with tools to integrate into your life to help you to live a vibrant, healthy and balanced life. You will have FUN and connect with amazing people like you!! When: Saturday January 12th at 9 AM to Sunday January 13th at noon. Lodging IS included for Friday and Saturday nights and you are encouraged to come Friday evening to settle in; contact organizer for more information about extending your stay! 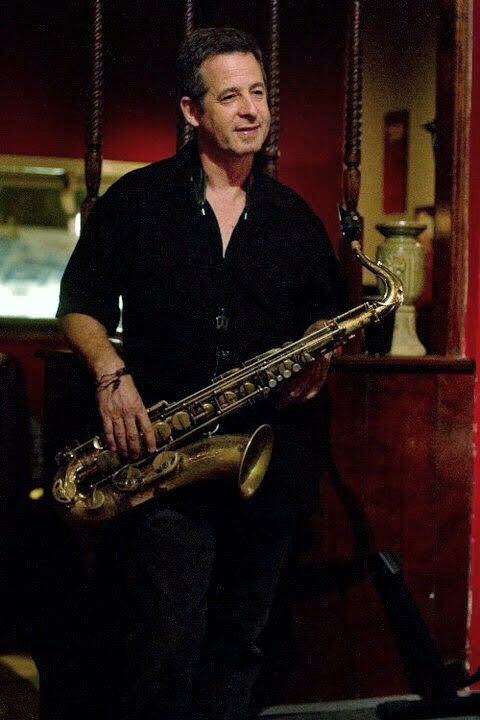 Jazz saxophonist Paul Klemperer will be performing with his New Hampshire Ensemble in a concert of blues, jazz and rock and roll at Aldworth Manor in Harrisville on Thursday, August 30, from 6:00 - 8:00 pm. Donations of $10 are welcome and appreciated! Family-Friendly event! Klemperer is a prominent figure in the Austin, TX based jazz and blues scene, where he performs and teaches. He spends time in the summer in Nelson, NH and for the last several years has been performing with a group of local musicians, featuring Spencer Peery, guitar, Max Nunnemaker, bass, Garrett Cameron, drums, Gordon Peery, keyboard, and Pati Cloutier, vocals. Their music and arrangements have drawn praise from local audiences, including many jazz aficionados. The repertoire being prepared for this concert will be heavy on dance music, which is great since Aldworth Manor has a fabulous and beautiful lawn for dancing (there is an indoor option in the event of rain). Also, chili and “fixins’ will be available for sale from the Harrisville General Store. Join Jill Kennally and spend a little time in the peaceful tranquility of New Hampshire at historic Aldworth Manor. Our yoga practices will leave you feeling refreshed and relaxed. We will practice in The Manor or on the beautifully landscaped grounds. Our meals will be provided by a local farm. Project Shakespeare comes to Aldworth with the classic, Romeo and Juliet! Join the group for a fun evening and support this organization!